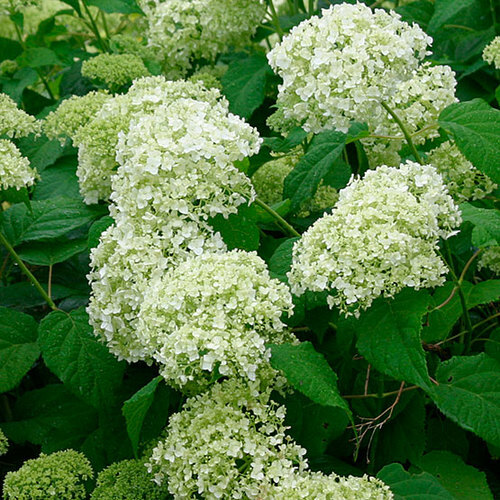 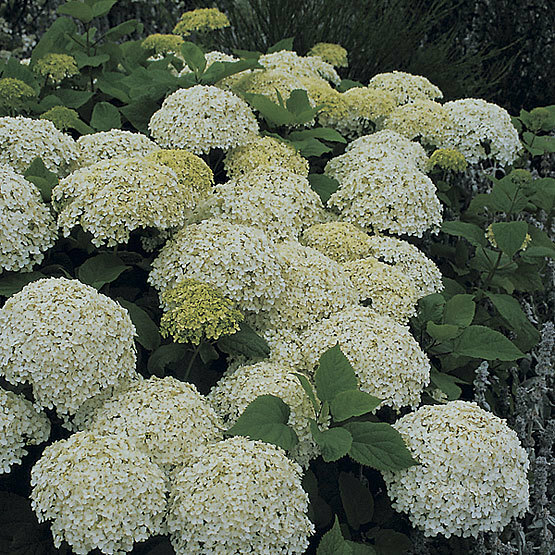 Creamy, six-inch flower heads form flattened spheres above heart-shaped leaves from June through frost. 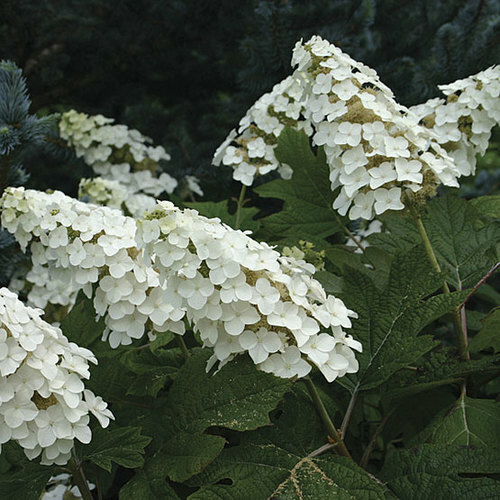 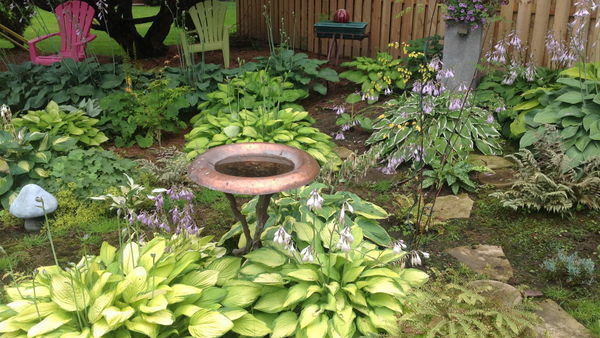 Noteworthy CharacteristicsThe species is good for grouping a few plants in the lawn or in a mixed shrub border. 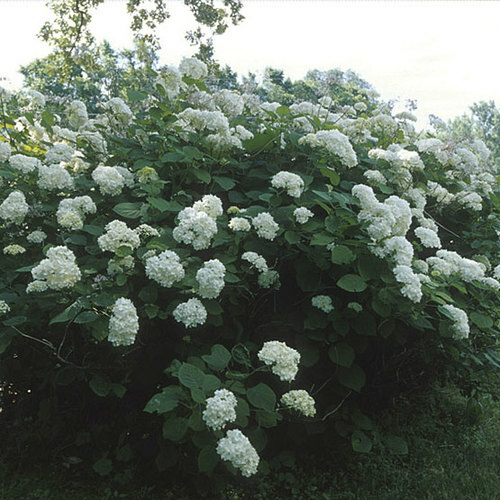 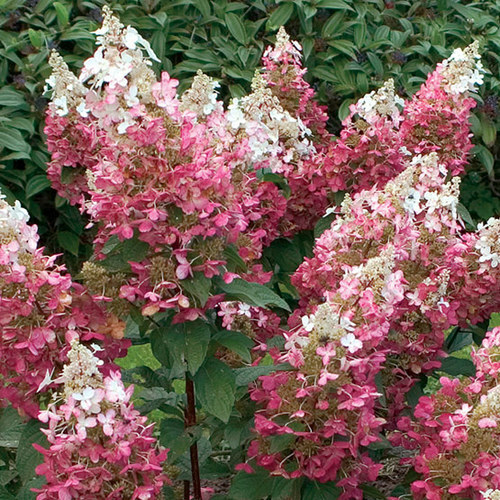 It is native to the southeast U.S.
CarePrefers shade from midday sun. 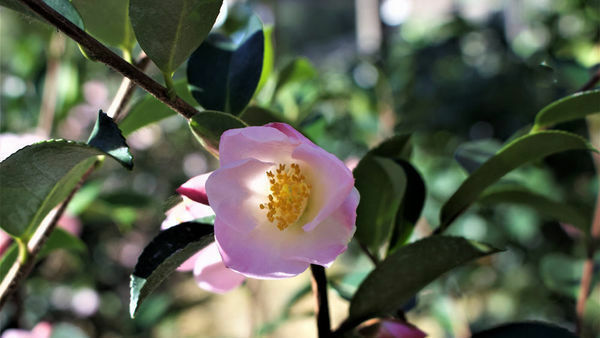 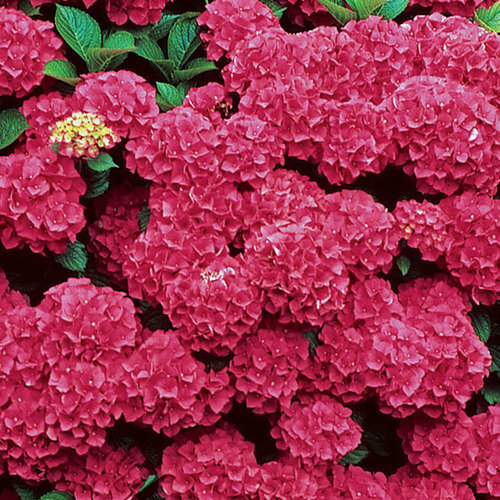 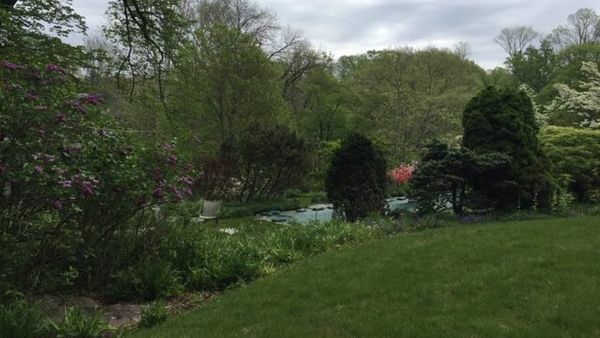 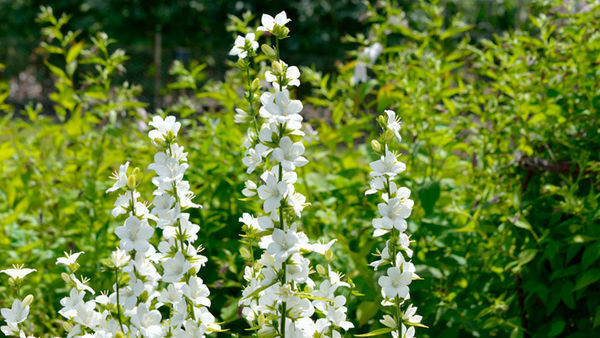 It blooms on current season's wood throughout the summer, and is best pruned to 6 inches high in early spring.